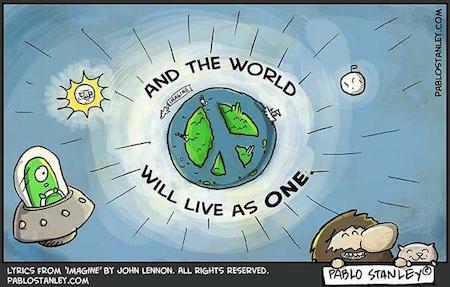 This is a great cartoon showing ‘Imagine’ from John Lennon as you have never seen it before! It is made by Pablo Stanley, check out his site stanleycolors.com for more great ‘Comics and stuff’! Click the picture for the full image (or click the direct link here), this YouTube video is nice too!